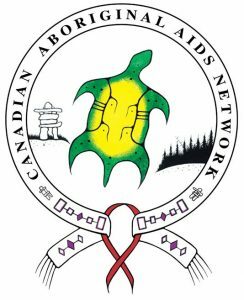 Several staff members represented IWRI this fall at the Annual General Meeting of the Canadian Aboriginal AIDS Network (CAAN) held in Calgary, Alberta, September 25-28, 2017. As members of the CAAN-directed HIV/AIDS Indigenous Knowledge Translation working group for the past year, Meg Meneghel MacDonald and Leo Egashira participated in pre-conference meetings with 16 other attendees hailing from Australia, New Zealand, Canada and Latin America. Three members of the current cohort of the Indigenous HIV/AIDS Research Training (IHART2) program also attended the numerous workshops and oral presentations. The IHART2 fellows were Myra Parker and Maya Magarati from IWRI, and Felicia Mitchell from Arizona State University in Phoenix. The IHART2 mentor and previous ISMART fellow Roberto Orellana, originally from Guatemala and now at Portland State University, also participated in the Knowledge Translation working group. 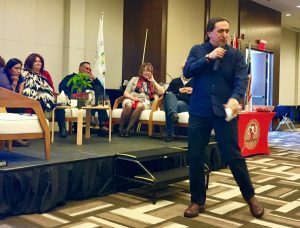 Conference workshops focused on “Wise Practices” and skills building to address the daunting social and health issues wrought by HIV/AIDS (and the increasingly co-occurring Hepatitis-C virus) in Canada’s First Nations / Inuit / Métis communities. What we found out from many moving first-person narratives was that the challenges facing First Nations / Inuit / Métis communities in Canada are identical/similar to those faced by American Indian / Alaska Native communities in the U.S., e.g., low socio-economic status, stigma, racism, isolation, and lack of access to health care. And, despite some historical, governance and social infrastructure differences between the U.S. and Canada, the approaches and solutions that are being tried in Canada would also be applicable in the U.S.
All the U.S. attendees felt that CAAN organized a very well-run, enlightening and informative conference. We made good connections with Canadian (and other international) colleagues, and we all felt that much can be gained from learning about each other’s experiences through formal annual meetings like this. I hope that future CAAN meetings will target more U.S. participation that can only strengthen Canada / U.S. collaboration in tackling indigenous health issues that know no boundaries.